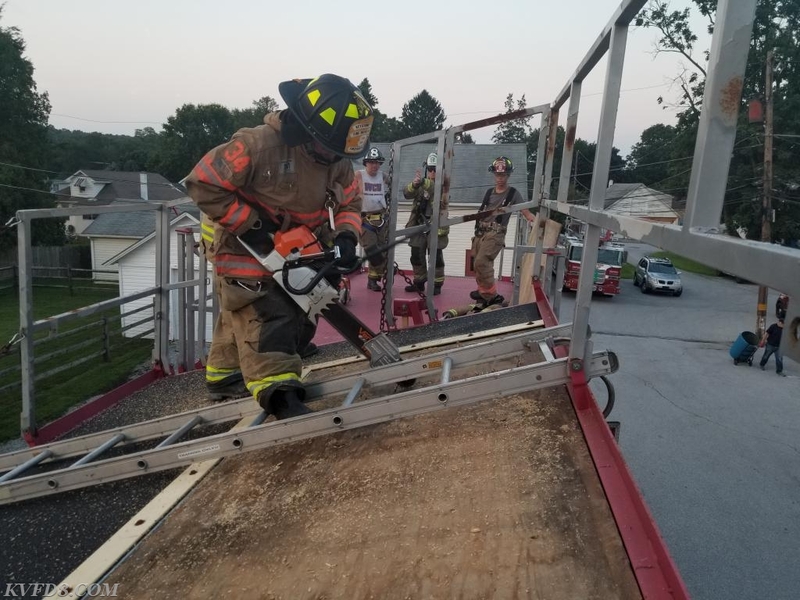 On Monday evening members gathered for weekly training/work night at our East Station in Pomeroy. 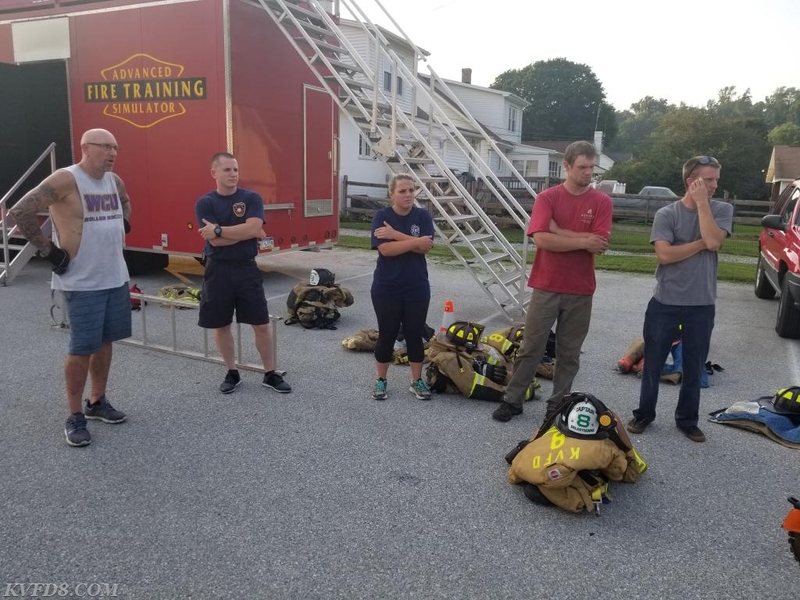 A total of 20 personnel were in attendance accomplishing multiple different tasks ranging from administrative duties to training. 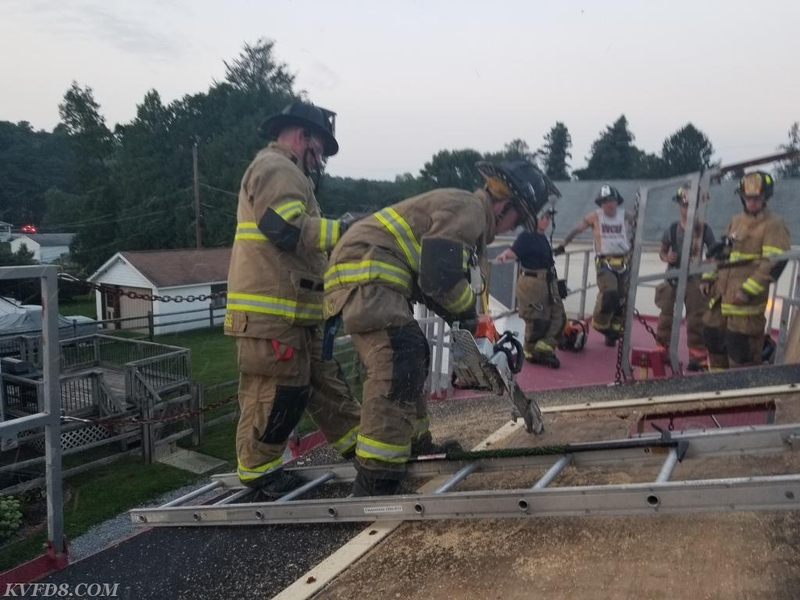 Some of the crew assisted Assistant Klingler with finishing up the cribbing project for the new Rescue and the Engineers worked on getting organized for the future move into the New Firehouse. 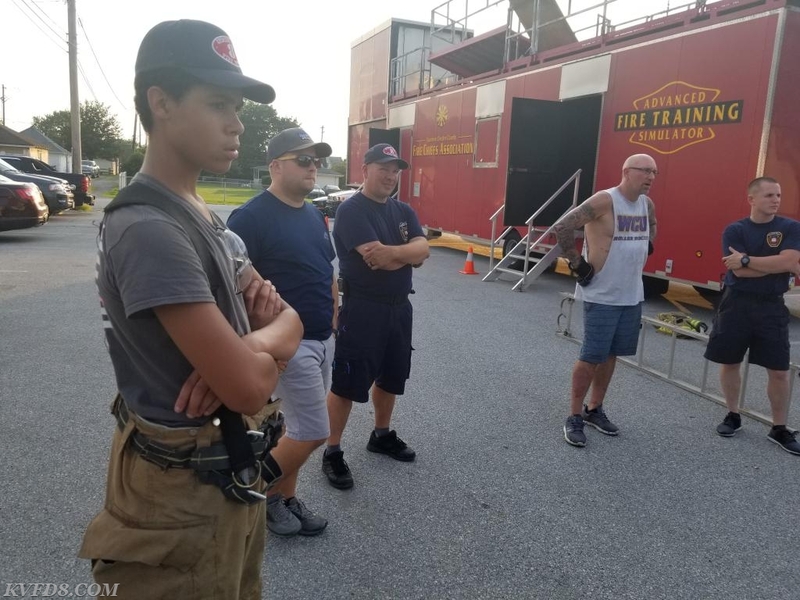 Most of the Active Crew participated in a Review of Vertical Ventilation Practices performed by the truck company while responding to a structure fire. Standing operating procedures were reviewed by Chief Cazillo as to when we Vertically Ventilate during an incident and the bulk of training was conducted by Senior FF Stackhouse going over the proper procedure when accessing and ventilating a roof. 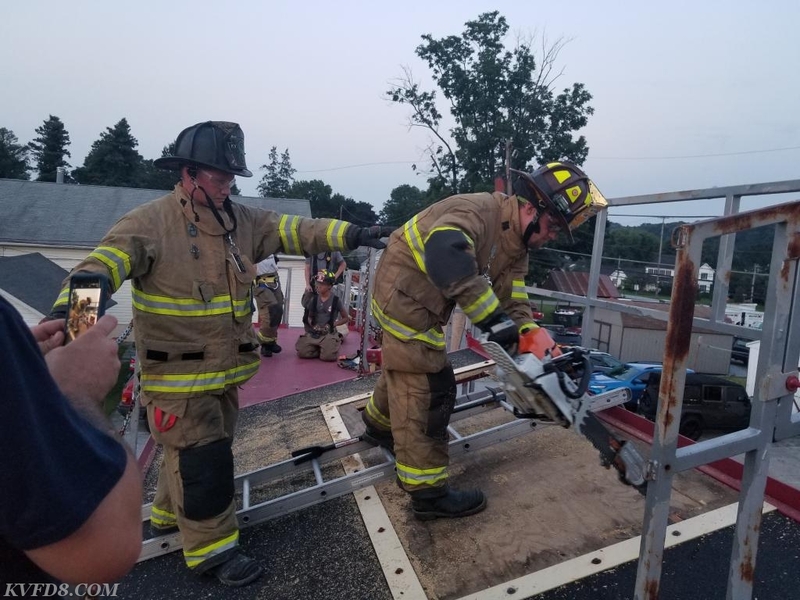 Crews were able to use an integrated roof prop which was apart of the Fire Blast Trailer on loan to the dept from the West Grove Fire Company. This prop allowed crews to get active work time practicing a skill that is only performed when ordered by the Incident Commander on a structure fire. 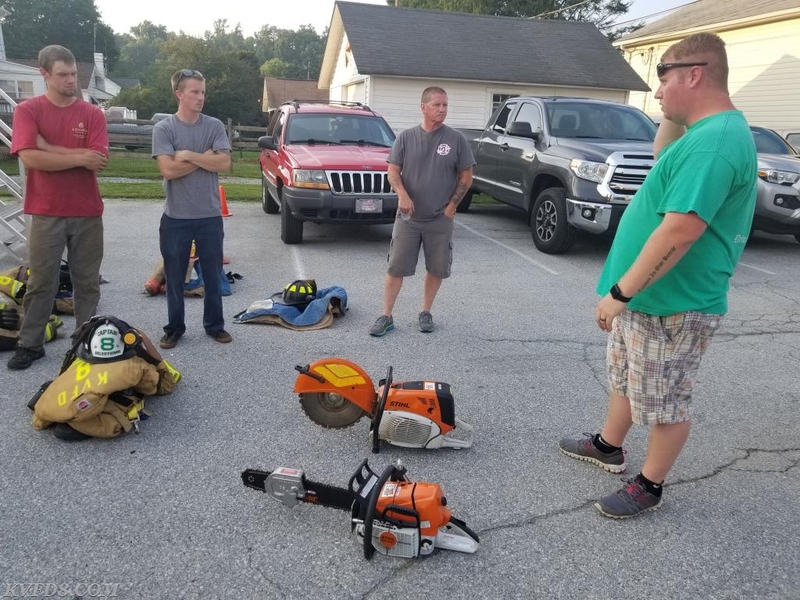 Prior to getting tool time crews reviewed the different types of saws carried by the truck company and upon completion of training crews reviewed returning the saws to readiness for the next incident. If you've ever wondered why FF's cut holes in roofs during incident's See the Video below from the San Bernardino County Fire Rescue. Chief Cazillo and FF Stackhouse reviewing saws and SOPs for vertical ventilation. FF DeMarco making her final cut. Lt. Jones practicing cutting a vent hole. FF Sharpless practicing vertical ventilation.